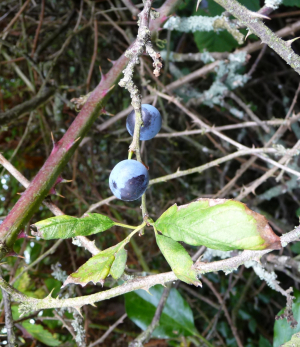 Observation - Blackthorn - UK and Ireland. Description: Originally I thought these were bilberries but some of the branches had very large thorns. Originally I thought these were bilberries but some of the branches had very large thorns.